Star Trek Deep Space Nine is my favorite television show of all time, therefore I am bias in reviewing it. In this case, I will tell you about the show and why I like it, so you can decide for yourself if you want to watch it or not. Star Trek TV series and novels have always been about exploring new worlds, seeking out new life, and boldly going where no one has gone before. Deep Space Nine was different in that it took place on a space station and showed us a whole new side of Star Trek, that has redefined the franchise. This show wasn't about exploration, but rather the politics of the future and they were able to do things the other shows couldn't. Deep Space Nine re-introduced some old themes, not seen since the original series, and its writers were pioneers of Science Fiction. This series featured everything from time travel to alternate realities, it introduced us to a whole other region of space, the first stable wormhole in the universe, the mysterious section 31, and it even focused on crime, commerce, gambling, and religion, all set in the future, on board a space station. For the first time we got a glimpse into the politics of the Federation, as well as other races, and we even got to witness a full blown war. DS9 was beyond imaginative and shaped Voyager, the final seasons of the Next Generation, and even future films, but what's it all about? The story begins on a planet called Bajor, where a strong, deeply religious people have just won a war against the barbaric Cardassians. After nearly 50 years of occupation, Bajor has rid itself of the Cardassians and invited Star Fleet in to help protect them. Together the Bajorans and Star Fleet take control of the old Terok Nor Space Station and re-name it Deep Space Nine. It's intended purpose was to serve and protect Bajor, but that all changed with the discovery of the universes first stable wormhole. The wormhole is a gateway to a whole other quadrant of space and means endless possibilities and dangers. To Star Fleet, the wormhole represents commerce and scientific research, but the Bajorans view it as the home of their Gods, the Celestial Temple. As the story continues, all kinds of people show up at the station, with the intention of exploring and trading with this new region of space. As for the Bajorans, they worry that all the traffic will bring more invaders, but come to see the stations Star Fleet Commander, Benjamin Sisko (Avery Brooks), as their emissary, and they put their fate in his hands. In season 3, a threat unlike any other is detected in the new quadrant. A planetary alliance similar to Star Fleet is discovered, but this new group, the Dominion, is militaristic, xenophobic, and eventually enter into the war of all wars with the Federation. The reasons I loved this show were many, including the elements of Science Fiction never before used in Star Trek, the amazing new technology and special effects, but perhaps more than anything it was how we get to know the characters on the station intimately, in a way that's never been done before. The more you watch this show, the more you understand them, their cultures, and their situations. As lame as it may sound, I really felt like I was a resident on the station who was included in everything that was happening. The show has been off the air for 16 years now, but it's not over. DS9 didn't continue into movies, but in books, and believe it or not, it's still going. The first novel takes place days after the series finale and they are still coming. The books are just as good and have so many surprises that I could write about them for days. 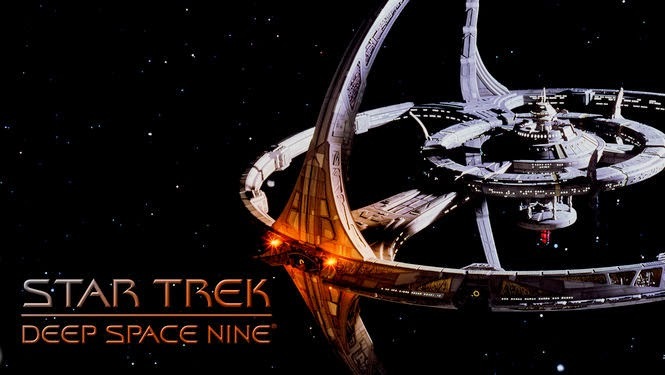 Deep Space Nine was everything I ever wanted in a series or franchise and it has shaped how I view Science Fiction, and even shaped the way I write my short stories. This show has been a major part of me for a very long time and I hope that by telling all of you about it, you can experience all the excitement and mystery that I have.